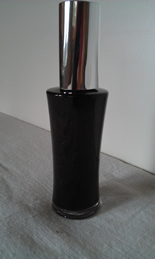 This is a Special Colour Mirrors bottle made for Unity by Melissie Jolly. It is a very personal experience and allows us to really look into our own shadow side and learn to love the messages and energies that lay there. It is by bringing out the dark that more light is attracted. Look closer and you will see that all the bottle contains all the colours of the spectrum and brings in new light of the feminine, hence the Opal. Opal and Black opal form a whole new spectrum of colour for the future. Enjoy. Thank you to Korani and a very special process that allowed this energy to come to the surface.